Business Debtline a charity giving free debt advice to Scottish businesses, from experts who care. Debt advice for the self employed and small businesses in Scotland. The Farm Advisory Service (FAS) is funded by the EU and Scottish Government to help farmers and crofters to increase the profitability and sustainability of their businesses. Forestry Commission Scotland works to protect and expand Scotland's forests and to increase their value to society and the environment. The Gamekeepers’ Welfare Trust exists to support gamekeepers, stalkers and ghillies, and their dependants past and present. Rural and urban properties available to rent from Hanover, Bield and Trust Housing Associations. Mainly for the over 50's. The National Farmers' Union of Scotland is an organisation that promotes and protects the interests of the country's farming industry. NFU Mutual offer a wide range of personal, business and farming insurance, investment and financial services for businesses. 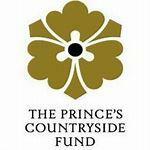 The Prince’s Countryside Fund exists to improve the prospects of family farm businesses and the quality of rural life. Our sister organisation - Supporting farmers in England and Wales who are struggling financially. Offers free debt advice and money management.